SWEDEN/AUSTRALIA: Beijer Ref is set to acquire Heatcraft Australia Pty, one of the largest refrigeration wholesalers in the region. A wholly owned subsidiary of Lennox International, Heatcraft Australia is part of the Heatcraft Worldwide Refrigeration group. 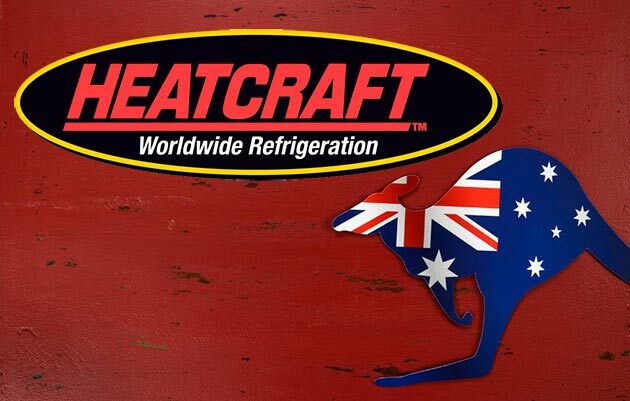 In addition to operations in Australia and New Zealand, Heatcraft Australia also has operations in China and Singapore and supplies refrigeration equipment, refrigerants and spare parts to customers all over Asia. Sales are made through a large distribution network with over 65 branches. The purchase price of SEK450m ($55m) excludes Heatcraft’s operations in New Zealand, which Beijer Ref has chosen to divest on completion for competition law reasons. In addition to wholesale operations, Heatcraft has a manufacturing unit in Wuxi, China, where heat exchangers and cooling units are produced. The deal also includes just over 5% of the shares in Thai compressor manufacturer Kulthorn Kirby. Heatcraft’s headquarters are located in Sydney. The company employs more than 300 employees and sales in 2017 amounted to approximately SEK1.1bn (US$134m). Beijer Ref has said that the business will initially be continued in its existing form under the brand Heatcraft. With the acquisition of Heatcraft, Beijer Ref becomes a significantly stronger player in Australia. For Beijer Ref’s Asia Pacific region, combined total annual sales will amount to over SEK2.2bn ($268m) per year, or 19% of Beijer Ref’s global sales, compared with 10% today. “This acquisition is in line with our strategy to also grow outside Europe. In addition, we strengthen the OEM segment through the acquisition of the Wuxi production plant in China, which in the long term could provide further opportunities to continue expanding our European green technology to the rest of the world to a much greater extent,” said Beijer Ref CEO Per Bertland. The purchase is expected to be completed next month.